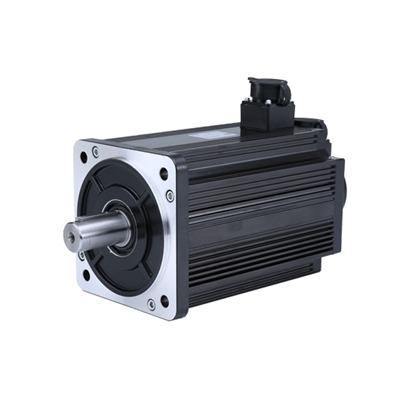 Brushless AC servo motor, 10 hp (7.5 kW) power rating, 380V AC supply voltage input, rated speed of 1500 rpm, rated torque of 48 Nm and peak torque of 96 Nm, 2,500 PPR incremental encoder attached. High torque servo motor, cheap price and manufacturer direct sale. 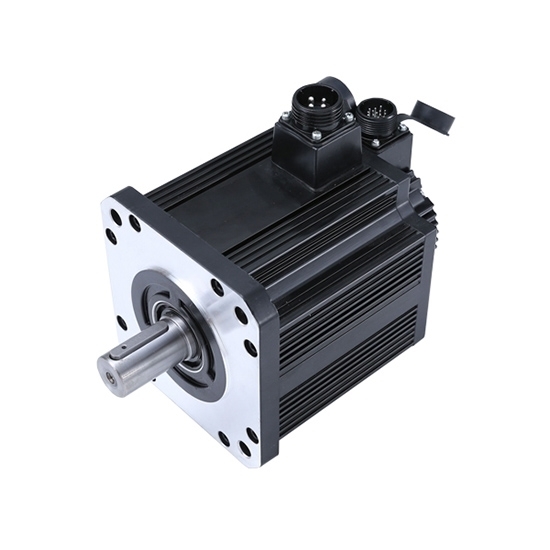 5.5 kW power rating servo motor, 220V AC input, with rated speed of 2000 rpm, maximum speed up to 5500 rpm, 27 Nm rated torque, peak torque up to 64 Nm. High torque servo motor, provide excellent dynamic response, direct sale by manufacturer. High precision AC servo motor, brushless design, with a power rating of 7.5 kW, 380V supply voltage, equipped with a 2,500 PPR incremental encoder. It is available in a 180mm square flange size, with brakes and shaft options. Powdery material measuring, normally use screw metering method. Through screw rotating cycles to achieve measure purpose. In order to improve measuring accuracy, require adjustable screw rotating speed and accurate position fixing, if use AC servo motor to drive screw, can achieve fast and accurate measuring based on high accuracy control and good frequency-torque characteristic of AC servo motor. Refer to measure of sticky (heavy body) material, can use AC servo motor to drive gear pump, through a pair of gears' graw of gear pump to achieve measuring. What is the least shaft diameter you can provide for the 7.5kW Servo motor? What is the least shaft diameter you can provide for the 7.5kW Servo motor? And can I connect to pinion coupling? Dear friend, the least shaft diameter of 7.5kW Servo motor is 35mm, and sure you can connect to shaft coupling of 35mm.